I love chocolate. Like seriously LOVE chocolate. It’s my favourite treat. There is nothing better than sitting down with some amazing chocolate and a cup of tea. It solves all my stresses and anxieties. So after all the success of our Candy Science studies, it made sense to take a dive into the science of chocolate. In this case I also wanted to explore why chocolate makes us feel so good, and our research turned up some interesting results. Chocolate is produced from the Theobroma Cocao Tree that originates in the Amazon basin. Surprisingly, the fruits of this tree are naturally very bitter and taste awful, so they need to go through an extensive preparation before they become the chocolate we all love. First, the cocao fruits are harvested and then fermented and dried. This process breaks down the proteins in the the seeds into amino acids. The beans are then cleaned, roasted and the shells removed. This develops the flavors. The next step (is this not sounding a lot like the process of making coffee?) is to grind up the beans into what they call a ‘chocolate liquor’. The liquor can then be pressed to create cocoa butter and cocoa powder. Or the cocoa liquor can be recombined with more cocoa butter, sugar, and milk (for milk chocolate). The mixture is stirred in a large tank, a process called conching. Conching smooths the mixture and give it the chocolate feel and taste that we all love. But what is it that makes chocolate so delicious and so darn irresistible? The answer is chemistry. Chocolate melts at 86F to 90F (30C to 32C). If you know your biology, this just happens to be the temperature of our bodies. This allows chocolate to liquefy in your mouth and release hundreds of feel good chemicals into your body. There are the energy chemicals like caffeine and theobromine. These are stimulants and very close in structure. There are feel good chemicals like anandamine and phenylethylamine. These give us a happy feeling when they reach our brains. And there are antioxidants. These molecules called flavanols – protect our cells from damage. So next time you are eating some chocolate, just tell everyone you are doing a chemistry experiment! Now of course we have to test all of this chocolate science. What good is a lab on a topic this good without some extensive experimentation and lab work? 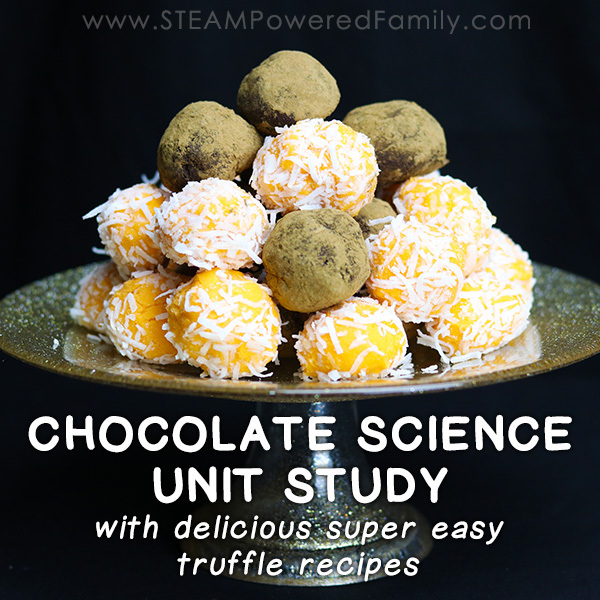 For our studies we are going to create chocolate truffles. All you need to make chocolate truffles is cream and chocolate. If you want to get fancy you can use different flavorings, coatings like chocolate, sprinkles, or coconut, and add coloring. We are going to make chocolate truffles and white chocolate truffles. The process is slightly different but incredibly simple. 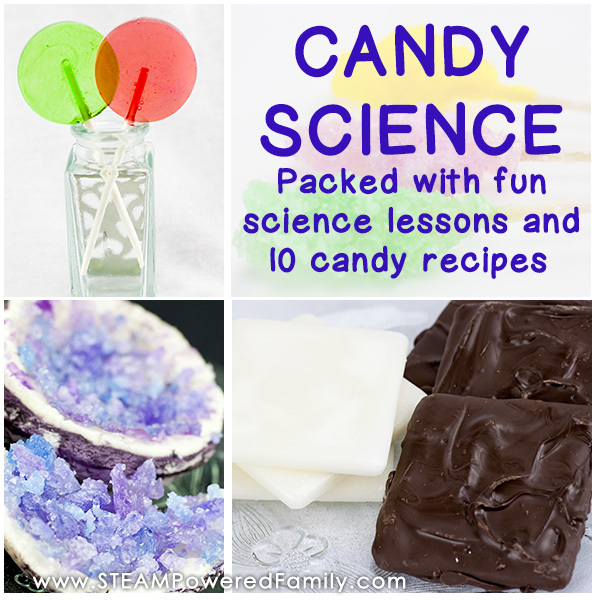 Kids will really love this chocolate science lab! Keep in mind that these truffles will only be as good as your chocolate that you start with, so invest in some really good quality chocolate to ensure your truffles turn out amazing! Heat the cream in a small pan on the stove until it is simmering. DO NOT BOIL. Take the pan off the heat and put the grated chocolate into the cream. Let it sit for a few moments until the cream starts to melt the chocolate. Once it starts to melt, stir until the mixture is creamy and smooth. Add optional flavouring. We found cherry was absolutely delicious. Once firm, use a teaspoon and scoop small balls of the truffle mixture and place them on a plate lined with parchment paper. 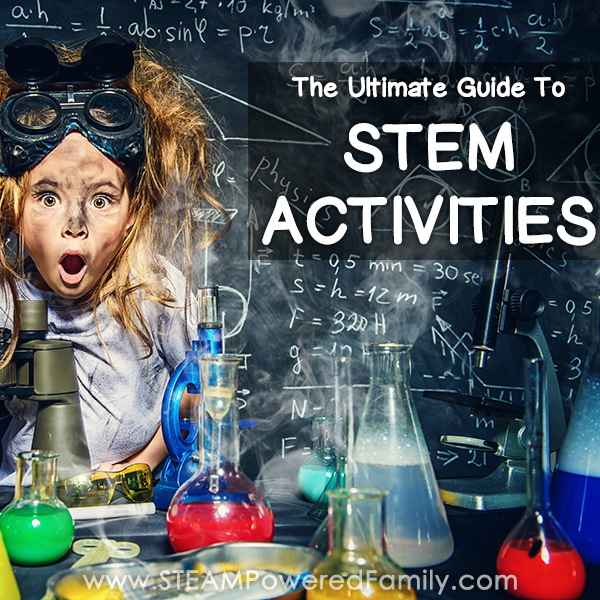 You can shape them with your hands but be aware it is messy! Kids will love this step. Dredge (or roll) the truffle balls in a good quality cocoa powder or other coating. We decided to add some orange flavouring and colouring, plus coconut to our white chocolate truffles. They tasted so good! Take the pan off the heat and add the grated chocolate into the cream. Let it sit for a few moments undisturbed until the cream starts to melt the chocolate. Once it starts to melt, stir until the mixture is creamy and smooth. Now is the time to add flavouring if you wish. We decided to use orange and it tastes amazing! If you really want a particular colour, add your colouring at this point too. We decided to add some orange to our orange flavoured truffles. Refrigerate (uncovered) until firm. This takes 1 to 2 hours. You can transfer the mixture into a bowl for the refrigeration process. Once set, use a teaspoon and scoop small balls of the truffle mixture and place them on a plate lined with parchment paper. You can shape the truffles with your hands, this is very messy! But kids will love this step in particular. Roll the truffles in any coating you wish. 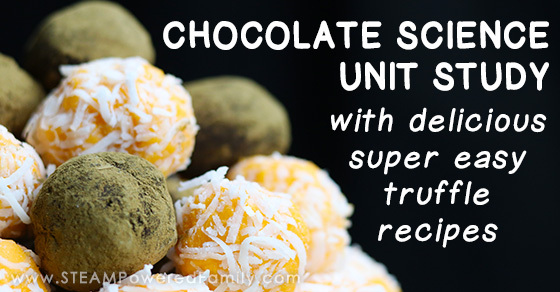 You can use coconut, sprinkles, or even dip them in melted chocolate. If you are dipping them, then you will need to allow them to set up again in the fridge, but if you are just rolling them in a coating they are now ready to eat! These truffles will last for about 1 month if frozen and about a week in the fridge. Oh, who are we kidding? They aren’t going to last the day! They taste sooooo good! 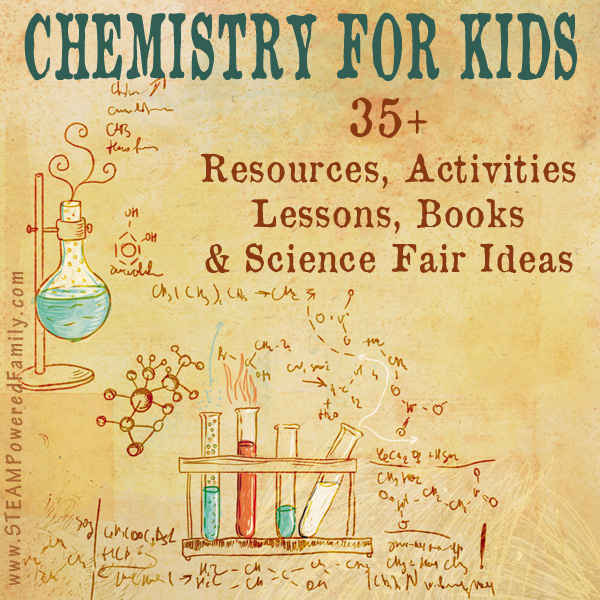 Plus, remember, we are learning chemistry and chocolate science here. So a great deal of experimentation (aka taste testing) may be required. Sometimes the chocolate won’t melt into the cream because of the large ratio of chocolate to cream. You can remedy this by decanting the mixture into a glass bowl and placing over a pan of simmering water (or use a double boiler). Stir until the creamy smooth consistency is achieved. When you start stirring the mixture it sometimes seizes and gets stiff and lumpy. This happens when there is too much moisture in the mix. Try adding more chocolate to the mixture to loosen it up. Always remember: Whatever your disaster it will still taste good! WANT TO LEARN MORE ABOUT THE SCIENCE OF CHOCOLATE? Here are some books about chocolate science (click the images for more details). Plus some kid friendly books with a chocolate theme. Learn NBC has lots of great articles and pieces. A great exploration into the chemistry of chocolate can be found here. Lab News has this fantastic write up on the science of chocolate. Although not in English it does provide English subtitles in this great video about chocolate science. Part of a tasty chocolate unit study! flavorings and coatings are optional but tasty! Add optional flavouring. We found cherry was absolutely delicious, but have also used orange and peppermint with great success. Refrigerate (uncovered) until firm, approximately 1 hour. flavourings,, colourings and coatings are optional but tasty additions! If you really want a particular colour, add your colouring at this point too. 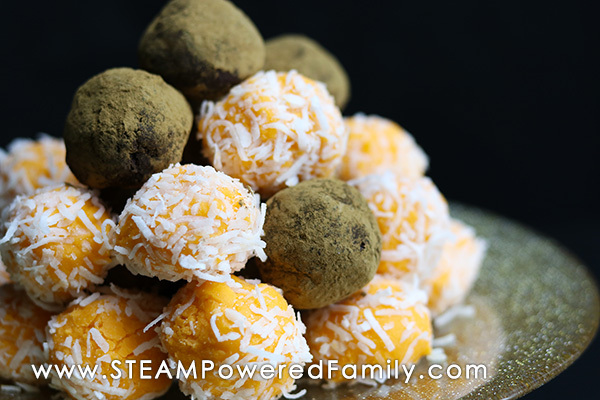 We decided to add some orange to our orange flavoured truffles. Gel food colourings will give you the richest colours.